Ugh. I’m sorry, but you’ll have to settle for a relatively small post. We’ve walked all over London today and I’m just not in the mood to type. 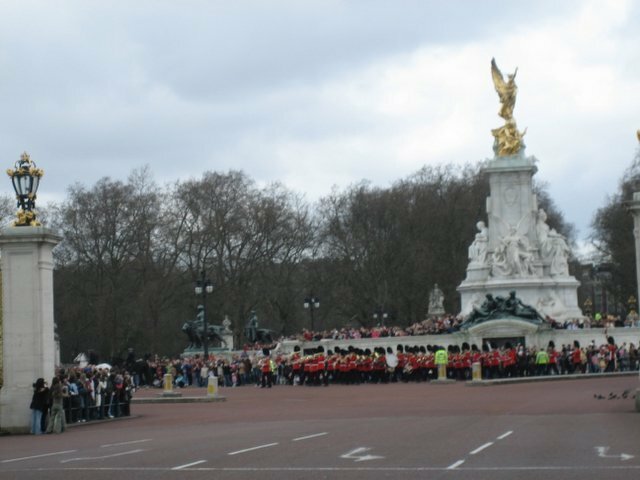 We saw the changing of the guard this morning at Buckingham Palace. Everyone in the audience watched with reverence, but I felt a little let down. 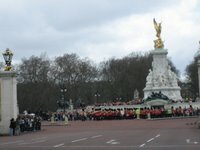 During the changing of the guard a lot of military guys march in complicated formations in time with marching music. Ho-hum. I just didn’t find it all that interesting, but truthfully I never find any military marching all that engaging. I guess after you see John Winger lead a bunch of dog-faces to victory through superior Arrrrrmmmy training in front of General Barnicke then everything else pales in comparison”¦even the changing of the guard at Buckingham Palace. We spent a while strolling around St. James Park, taking pictures of the ducks and the pretty flowers. Then we took the tube over to the British Museum. Man that place is big. I’m serious”¦you could get lost in that place. We’re going back tomorrow, so more on that later. 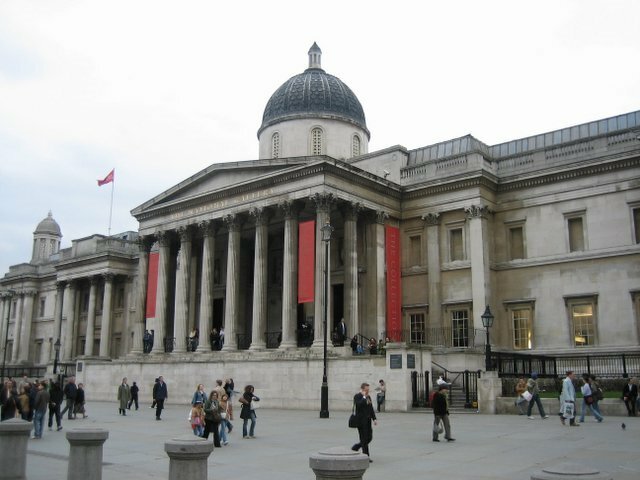 We also visited the National Gallery. Leigh knows a great deal more than I do about paintings so she enjoyed it more than I did, but it was still a wonderful experience. Although to be perfectly honest, after a day full of looking at priceless works of art I wanted nothing more than to read a comic book. And not even an intellectually stimulating book either. Anything with muscle-bound guys beating up ridiculous villains would have sufficed. Later in the evening we visited the Tate Gallery again, as we had missed a bit of it the day prior. While we were there Leigh bought me a framed canvas print of “The Lady of Shalott.” If you read my previous post you know how much that means to me. Altogether it was a pretty good day. I posted some more photos on flickr so check’em out. You’ll have a link dump tomorrow. Glad you let us know about Leigh buying the print for you, as I spent some time yesterday online looking for one. Sure glad you didn’t wind up with two. Also, regarding your previous post concerning some Windows site–at least I know my limitations. You’ve never had to try to fix something I messed up because I didn’t know what I was doing. I think all anonymous people should sign there name! I tried to look at one of the .mov files and it froze my computer. I’ll get on that when I get back into the states. Hopefully I can get’em on a DVD. I always enjoy it when people offer to buy me gifts. Please, feel free to do so more often.